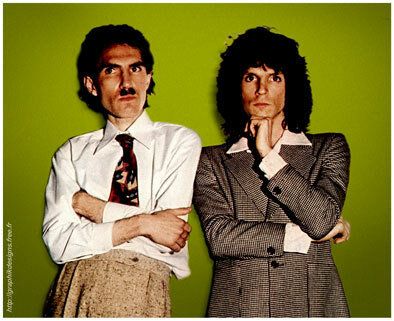 In England Maels' parents were living at Clapham Junction but Ron Mael and Russell Mael were living in their manager John Hewlett's house in Croydon. The Maels soon settled into London life. Stores were closing on Sundays, that didnt really happen in southern California, but Ron & Russell Mael saw Roxy Music and the Sweet and thought these bands were really good. As the Maels were fans of Indian food, London also was a really nice place to live. These guys were reportedly considered too old to join the band but anybody Ron Maels age or older would seem to have been too old - apparently this criterion wasnt applied to Chris Townson, however. 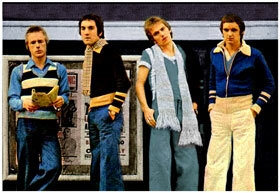 Yet at some point, a one-off single by this line-up was a considered possibility. But adverts had appeared in the Melody Maker, all specifying that applicants should be of pleasant appearance and not have beards. A lot of people answered these adverts. 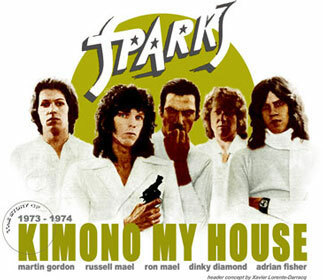 Sparks - "Kimono My House"
The very first choice of Ron & Russell Mael to produce their album would be Roy Wood : The Maels liked very much The Move and were fond of the musical extravagance of Wizzard. But Roy Wood who had founded the Electric Light Orchestra with Jeff Lynne two years ago and was working on his Wizzard project was unable. So the Maels accepted to be produced by Muff Winwood.